Drinking water is undoubtedly the best for hydration. It contains no calories, doesn’t damage your teeth nor does it contribute to weight gain. However, 20-40% of the daily fluid intake is from food. Drinks other than water often contain calories, sugar, and/or caffeine. Caffeine has a diuretic effect so many people believe tea and coffee is dehydrating. In fact, it is about as good as water when it comes to hydrating you, but only if consumed at normal levels. A normal level of caffeine is below 300mg of caffeine a day, which is about three normal size cups of coffee. Believe it or not, milk is better at hydrating you then water because it is retained in the body for longer it also provides essential nutrients including calcium, protein, and B vitamins. Soft drinks and juices are hydrating, but many options contain high calories and high levels of sugar so can damage your health as well as contribute to health risks. 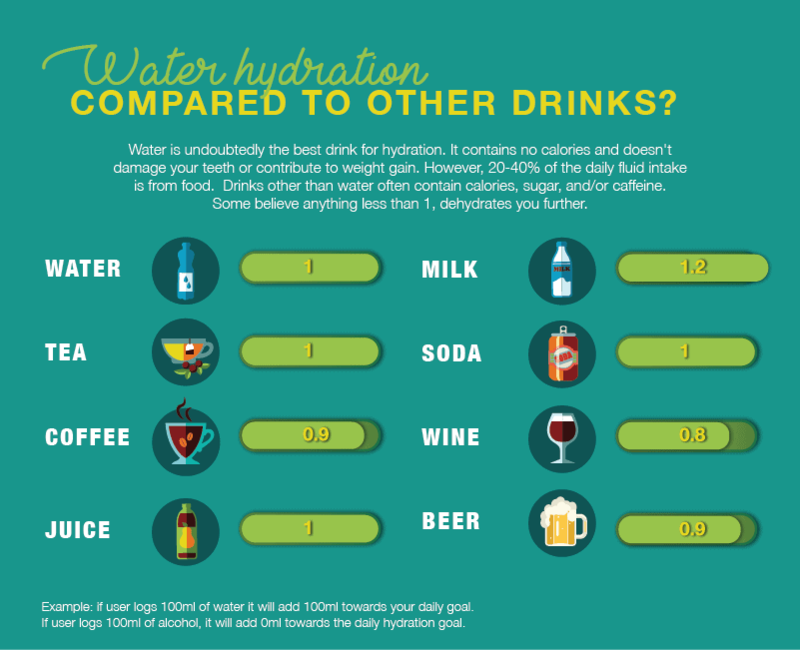 Have a look at our infographic below which highlights the hydration levels of water vs other types of drinks. Drinking Water Fountains are the leading fountain supplier to customers across the UK. Whether you need a water dispenser for a school, park, other public areas or even leisure facilities, we are sure to have a drinking fountain or you.